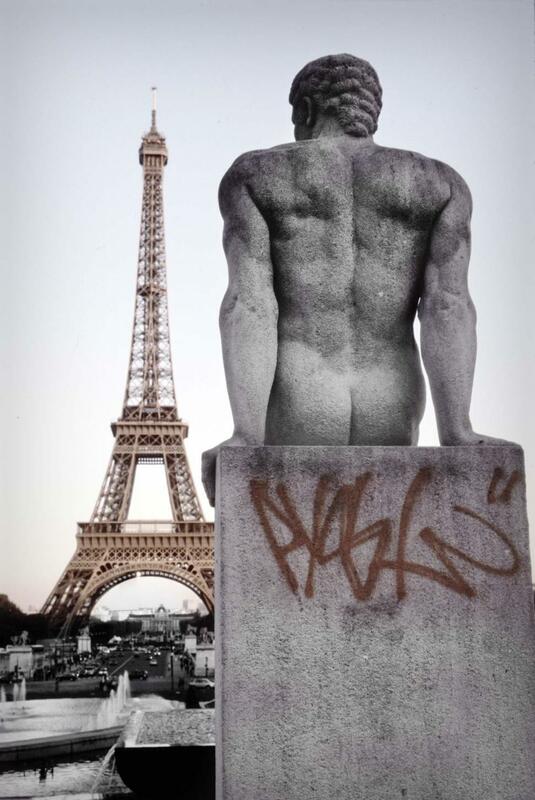 Paris shot of Eiffel Tower next to carved sculpture with graffiti. This image is so impressive, especially the contrast between the tower and the doodle & statue. Good job and thanks for this. Very, er, "potent" imagery - just right for a blog about masculinity. Thank you! Beautiful commentary on art and architecture. This is an AWESOME pic! I love the back of the statue in the photo. Very creative!